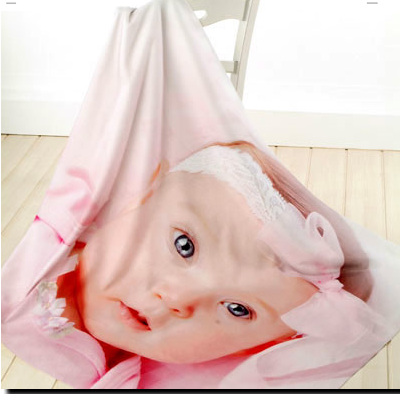 Hope's Cafe: Custom Creations Unlimited Photo Blanket Giveaway!! Custom Creations Unlimited Photo Blanket Giveaway!! I know I've said it many times before, but I'm going to say it again. I LOVE photo gifts! Back in March I had the opportunity to review a Tote Bag from a photo gift company called Custom Creations Unlimited. You can read my review here, if you'd like. Suffice it to say that I was thrilled with the photo tote bag...the great quality, fast, friendly service, and the clarity of the picture on the bag. My little sister has the bag (I had her picture put on it), and shows it off a lot! So, you're asking why I'm discussing old news? Because, Custom Creations generously offered to sponsor another giveaway on my blog! Since that day, we've grown beyond our wildest dreams. We still print many personalized invitations and announcements but our personalized gifts have just taken off. Our Photo Blankets and Photo Towels have been the gift of choice for so many customers, especially during the winter holidays. If you're a returning customer, we thank you for your business. If this is your first visit, we welcome you and hope you'll be as pleased as those who have bought from us for years. If there is anything you have a question about, please feel free to contact us." I can't say it enough...I am very impressed with Custom Creations Unlimited, and their wonderful assortment of great photo gifts! 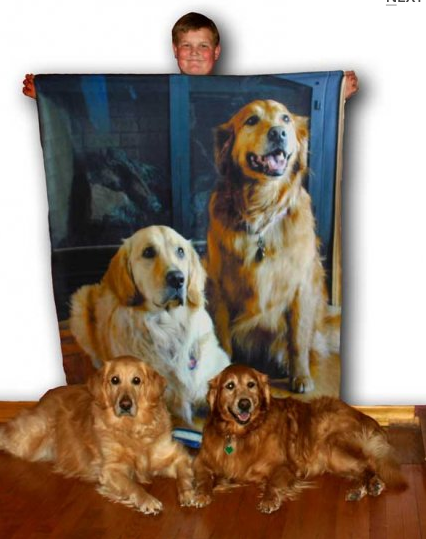 "Our Fleece Photo Blanket is made from polar tec fleece and is noticeably thicker than the typical fleece photo blanket you'll find. However, it is not a thick snuggly blanket like our Knitted and Woven Photo Blankets are. Its strength is in the fabulous detail of the image. The detail in our Fleece Photo Blanket simply does not compare to any woven or knitted blanket (including ours)!" Go to Custom Creations Unlimited and tell me another photo gift you like! This giveaway ends Monday, November 22, 2010 at 11:59 p.m. Please leave a valid email address in each comment, as this is how the winner will be notified. Winner will have 48 hours to respond, or another winner will be chosen. Disclaimer:I was not monetarily compensated in any way for this post. All thoughts and opinions are mine. All quotes taken from the Custom Creations Unlimited website. I love the photo pillows too! I think the photo basketball is really neat! I also really like the Photo Crystal Christmas Ornament. Would be really cute to have on the Christmas tree. I like the photo purse. I like the custom beach towels.